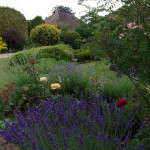 The annual garden competition will be held this year on Saturday 25th June. First and second prizes will be awarded for: Best Garden (Attia Trophy), Tubs and/or hanging baskets (Tuckwell Trophy), Most colourful flower garden (Parish Council Trophy), with awards for commended and highly commended gardens. Gardens will be viewed from the front pavement or access.